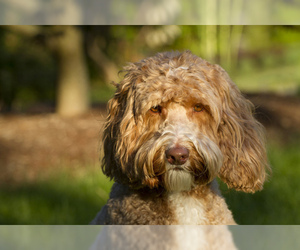 Overview: The Australian Labradoodle breed dates back to the 1980's and was initiated by Wally Conran of Royal Guide Dogs located in Victoria Australia. The intent was to create a breed that was allergy and asthma friendly with the temperament of a service dog. This journey was inspired by a vision impaired woman in Hawaii needed a Guide Dog which wouldn't aggravate her husband's allergies. Of the 31 Labradoodles bred at Royal Guide Dogs, a staggering 29 made it through as Guide Dogs... an accolade of paralleled proportion for this "new breed' of Guide Dog. 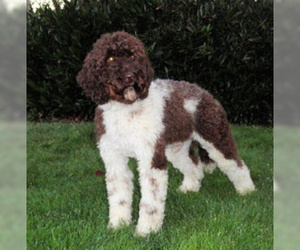 Currently the Australian Labradoodle is considered to be a cross between the Poodle, Cocker Spaniel and Labrador Retriever, while the Labradoodle is a cross between the Labrador Retriever and Poodle only. Temperament: Extremely clever, sociable, comical and joyful. Energetic when free and and quiet when handled. Should approach people in a happy, friendly manner. Keen and easy to train. Should display an intuition about emotional state of family members or handler’s current emotional state or needs. 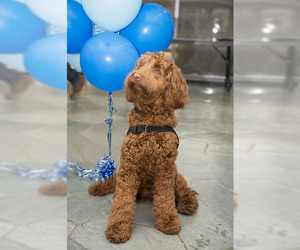 This ability to “know” is what has made the Australian Labradoodle an excellent dog for individuals with special needs. 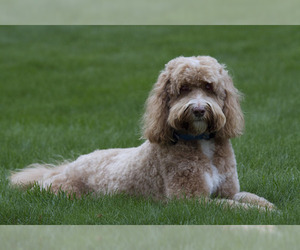 Care: The Australian Labradoodle is allergy friendly, with a nearly odor free non-shedding coat, making this breed a popular choice for those that are allergic to dogs. The non-shed coat means that you will not have dog hair on your furniture, carpeting and clothes. 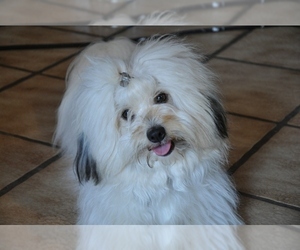 Their coat will require some grooming, you can easily learn to do this, and most folks find great pleasure in doing so. Groomer’s are also a great choice. 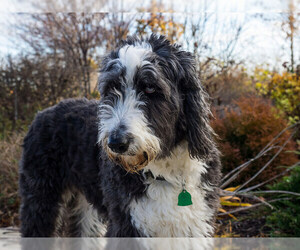 Training: The Australian Labradoodles high intelligence makes this breed very easy to train. If not trained they can outwit their human companion in a hurry. They love to learn new things and excel at an amazing pace. 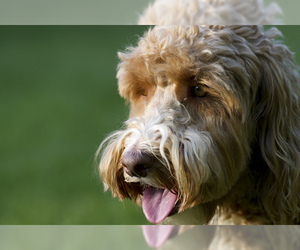 They make excellent performance dogs, such as agility, guide dogs, assistance dogs and more. 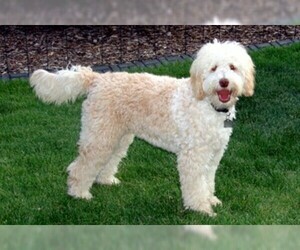 Activity: This breed needs a lot of exercise, which includes long daily walks. Health Issue: HD, PRA, VonWilabrands, elbow and patella disorders.